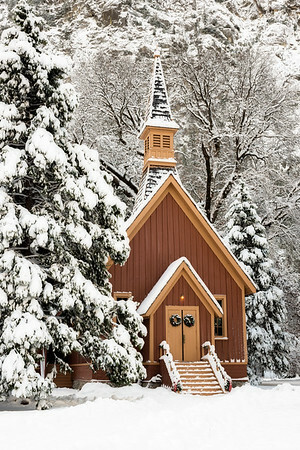 While, I'm not the first person to post a photo of the classic Yosemite Chapel in the snow... I felt it was a very fitting image to capture on a Christmas Day outing with my wife and I took to Yosemite for the freshly fallen snow the night before. Having only been to Yosemite in the spring and summer months, it really does take on a different visual beauty to it in the winter snow.